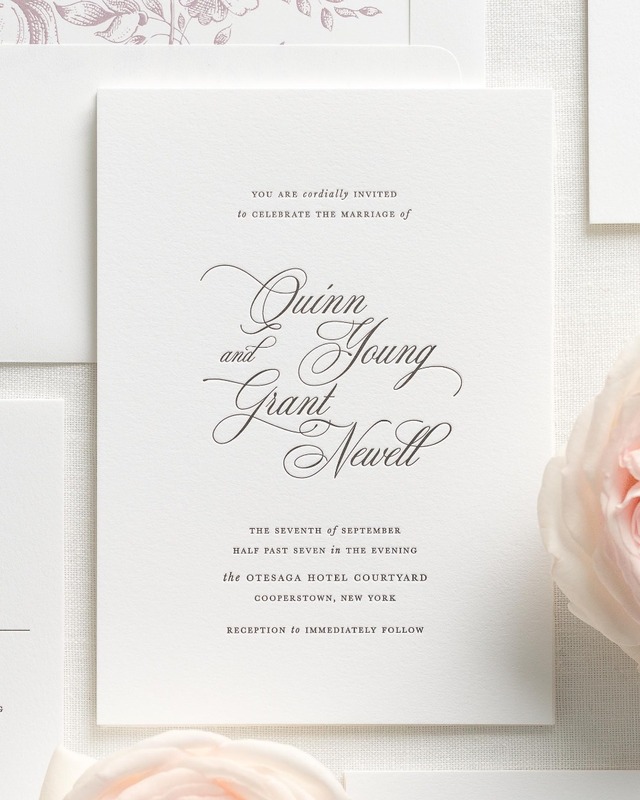 We are so excited to share with you the new Quinn wedding invitation suite for 2018 from Shine Wedding Invitations. 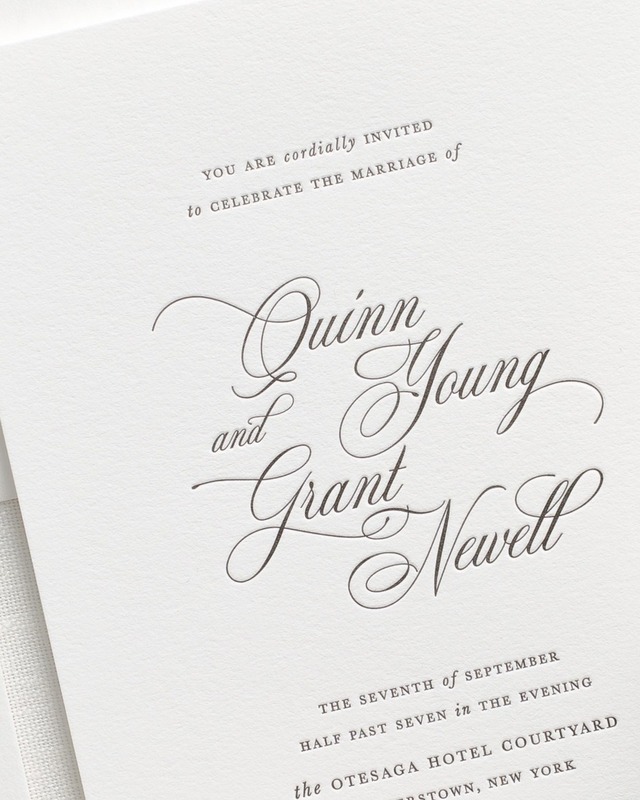 This classic yet chic design places emphasis on the names of both the bride and groom in a beautiful script at the center of the invite, while the body of the invite is a romantic mix of small caps and italicized serifs. So what’s all included? 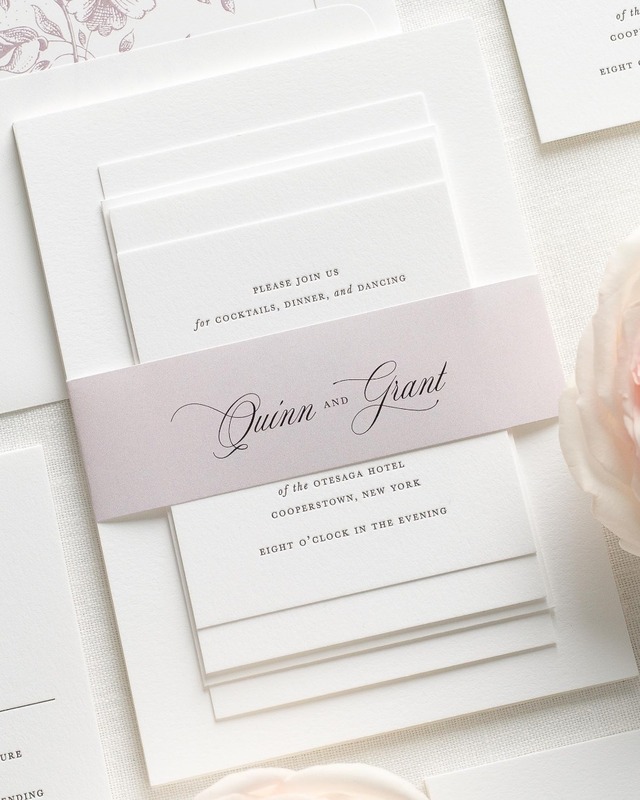 Well, the complete Quinn invitation suite includes matching custom stamps, an outer envelope, inner envelope with liner, invitation, response card + return envelope, and matching belly band to keep it all together and organized beautifully. The suite is printed on 110LB white letterpress cotton paper in soft black ink for a beautiful finish that’s soft to touch and durable. Did you know Shine offers addressing services? That’s right! They can print your guest and return addresses on the envelopes for you. Just imagine for a moment what you could do with all the time you’ve saved! 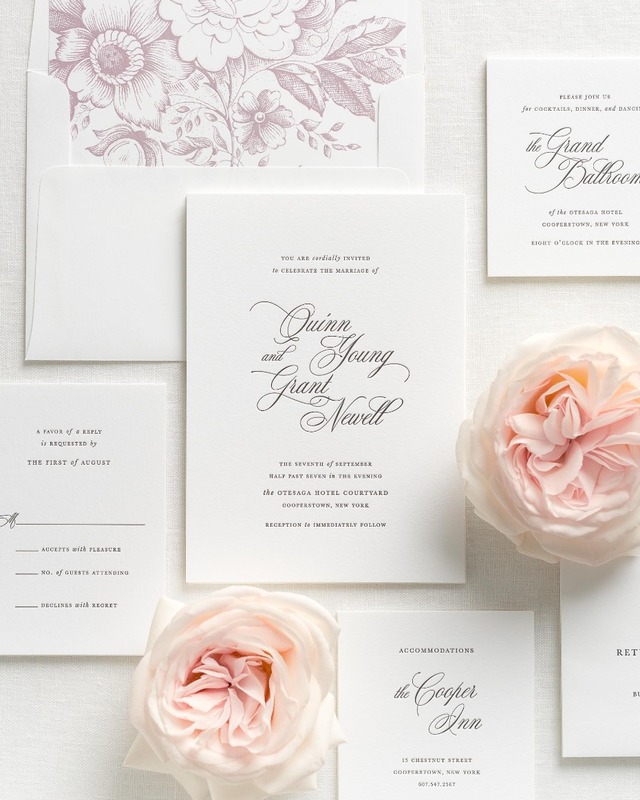 They also offer name printing services for that extra special touch your guests will love. 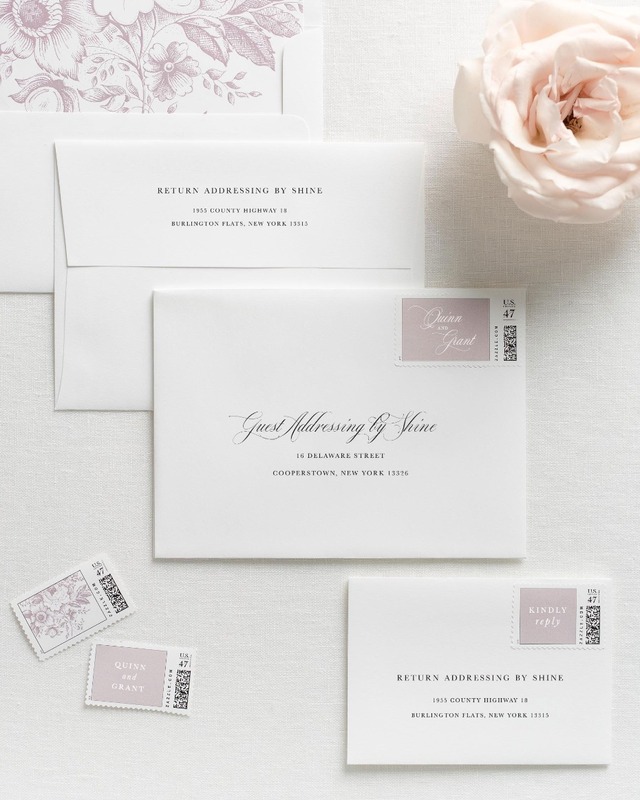 Shine will also custom design stamps that you can easily purchase separately through their sister site, Zazzle, to easily Complete your wedding stationery look from front to back. Last but not least, this gorgeous suite is featuring their new 2018 color, Sweet Pea - a gorgeous light mauve that they just added to their collection and we’re obsessed! It’s the perfect pop color that’s sweet and subtle. Isn't it lovely? Shine was kind enough to share the gorgeous new Quinn suite with us so we could see and feel the quality for ourselves. Check out the video below! See why they shine with your own free sample set today. We promise you won't be disappointed!